If you are called on to give CPR in an emergency, you will most likely be trying to save the life of someone you love: a child, a spouse, a parent or a friend. 70 percent of out-of-hospital cardiac arrests happen in homes and residential settings. Unfortunately, only about 39% of people who experience an out-of-hospital cardiac arrest get the immediate help that they need before professional help arrives. Hands-Only CPR has been shown to be as effective as conventional CPR for cardiac arrest at home, at work or in public. It can double or even triple a victim’s chance of survival. Hands-Only CPR has just two easy steps: If you see a teen or adult suddenly collapse, (1) Call 9-1-1; and (2) Push hard and fast in the center of the chest to the beat of the disco song “Stayin’ Alive.” People feel more confident performing Hands-Only CPR and are more likely to remember the correct rate when trained to the beat of a familiar song. 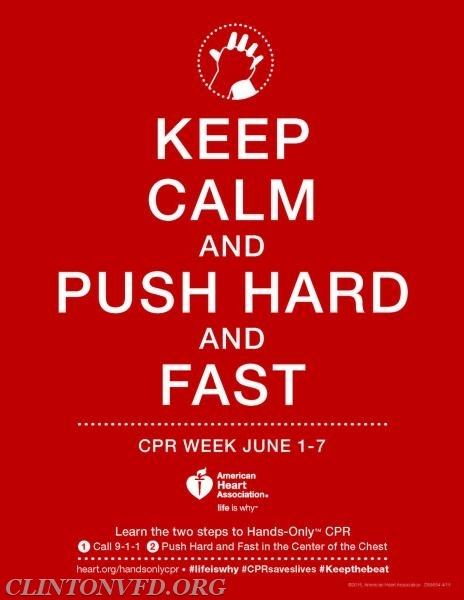 During CPR, you should push on the chest at a rate of at least 100 compressions per minute. The beat of “Stayin’ Alive” is a perfect match for this.